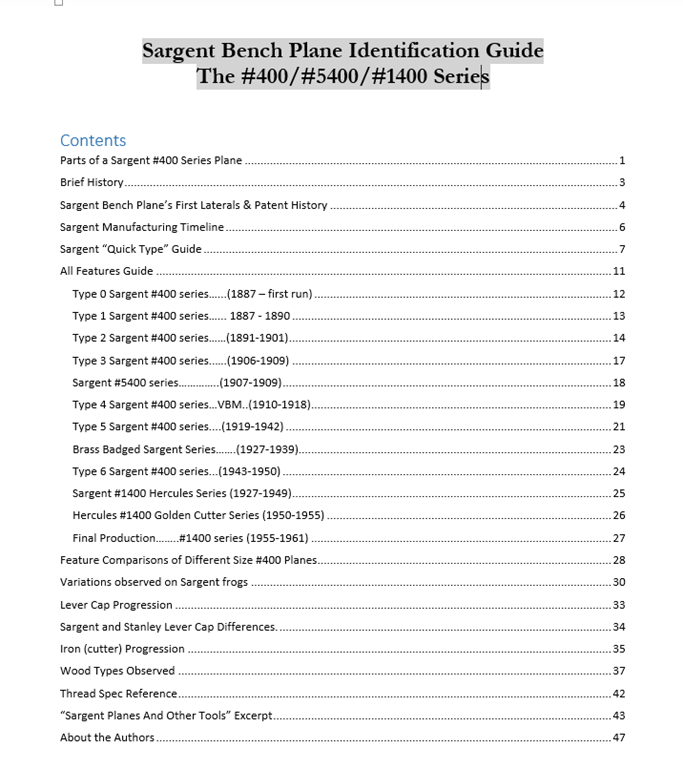 Casey Benton, Mike Howell and I have written a Sargent #400 Bench Plane Identification Guide. This Sargent Bench Plane Identification Guide is a joint effort between authors who have a passion for vintage tools, especially Sargent bench planes. 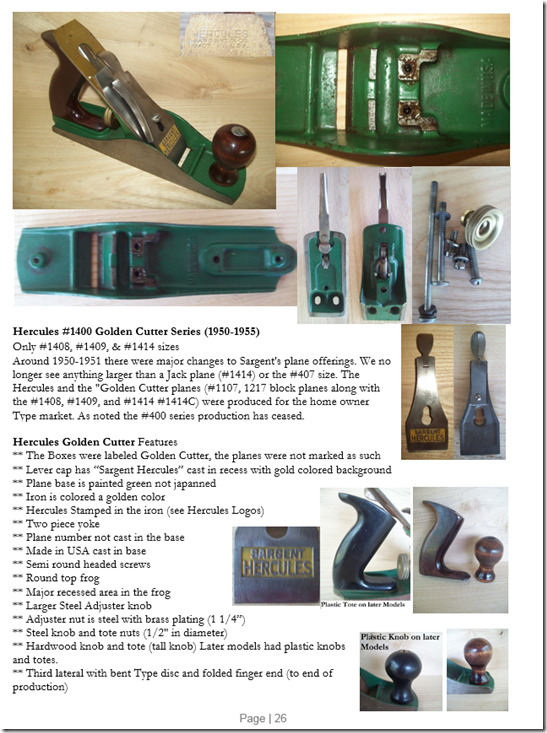 The mission is to help educate Sargent collectors and woodworkers who wish to continue using and collecting these fine vintage hand planes. 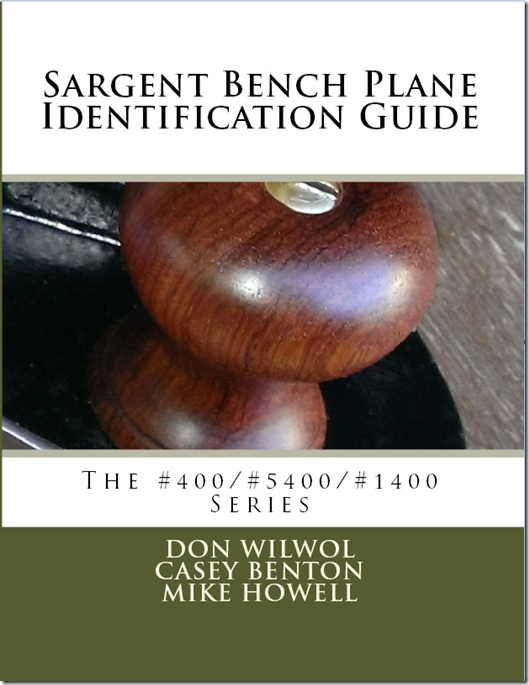 Whether the reader is a novice or seasoned woodworker or collector, they will be able to determine exactly what plane they have. Sargent started making their own line of hand planes about 1887 and continued until about 1961. They are one of the few manufacturers still in operations today as a hardware company. The authors of this book have decided to use the experience they’ve gained finding, collecting and restoring Sargent Bench Planes to pass on the information we’ve uncovered on this interesting line of vintage tools. 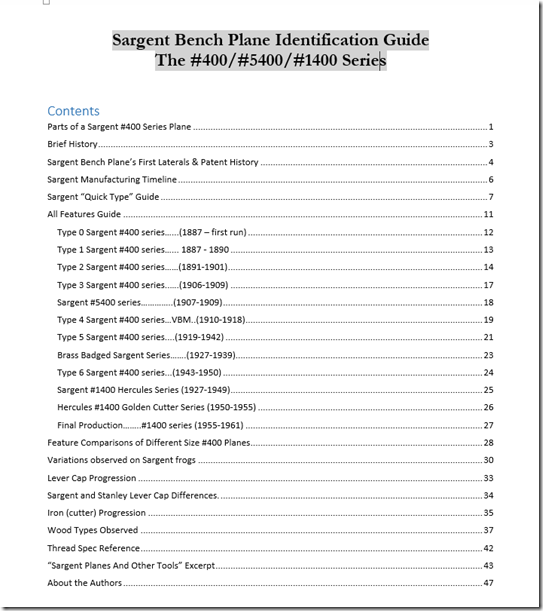 This book is loaded with a tremendous amount of documentation and pertinent information that will help you make a true identification of the approximate age of your Sargent Series bench plane.